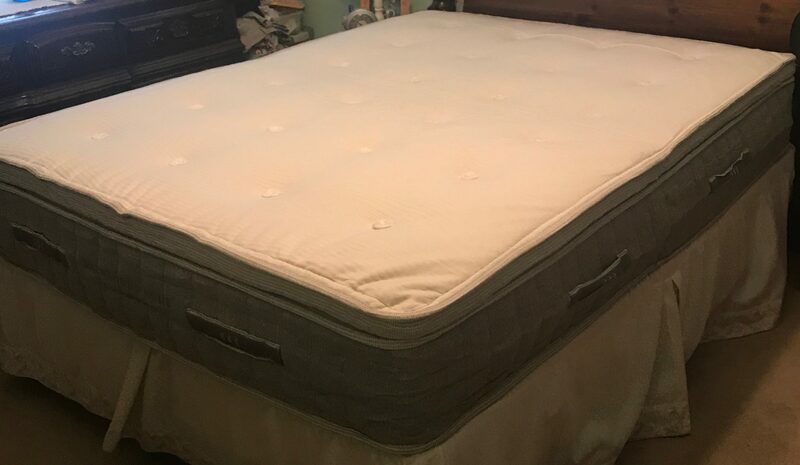 Brentwood Home Cedar Mattress Review was recently completed by the MattressJunkie.com team. Brentwood Home sources and produces all of their own products. This gives them a strategic advantage because they are able to change or control even the most minor of details in the manufacturing process. Brentwood Home takes a lot of pride in making sure consumers get organic, nontoxic, natural materials that contain no chemicals. Check out how the Brentwood Home Cedar Mattress stacked up in our review process. Tell me more about the Brentwood Home Cedar Mattress cover. Brentwood Home Cedar Mattress cover is made of organic cotton. The organic cotton is hand tufted to secure layers without any harmful chemical adhesives. The Brentwood Home Cedar Mattress cover is pesticide free, eco-friendly, and quilted with a natural flame retardant of hydrated silica. The quilted panels and borders of the cover are all natural organic cotton fibers. 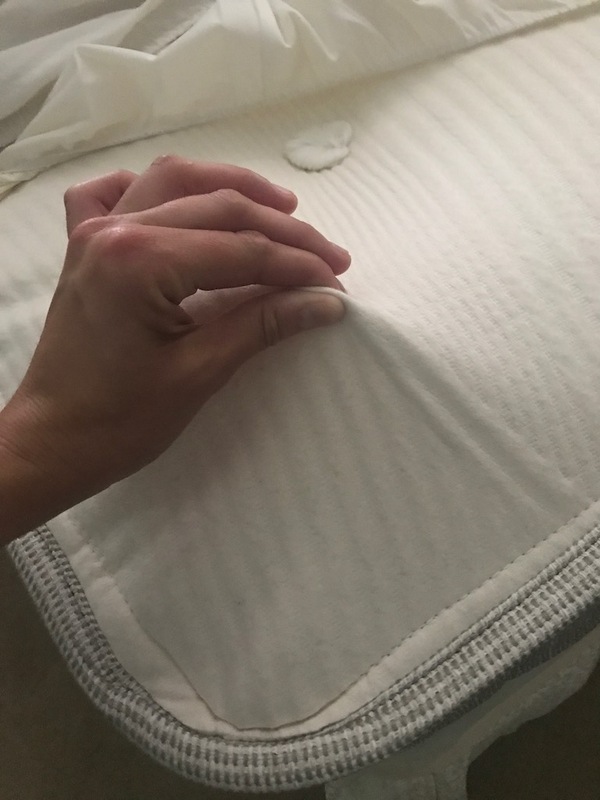 Brentwood Home went above and beyond to ensure every portion of the mattress is healthy for the sleeper and the environment. What’s under the Brentwood Home Cedar Mattress cover? Brentwood Home Cedar Mattress has a layer of New Zealand wool directly under the cover that wicks away moisture as you sleep. Wool is also a great all natural temperature regulator that will keep you warm in the winter and cool in the summer. Under the wool is a 2 inch all natural latex layer. 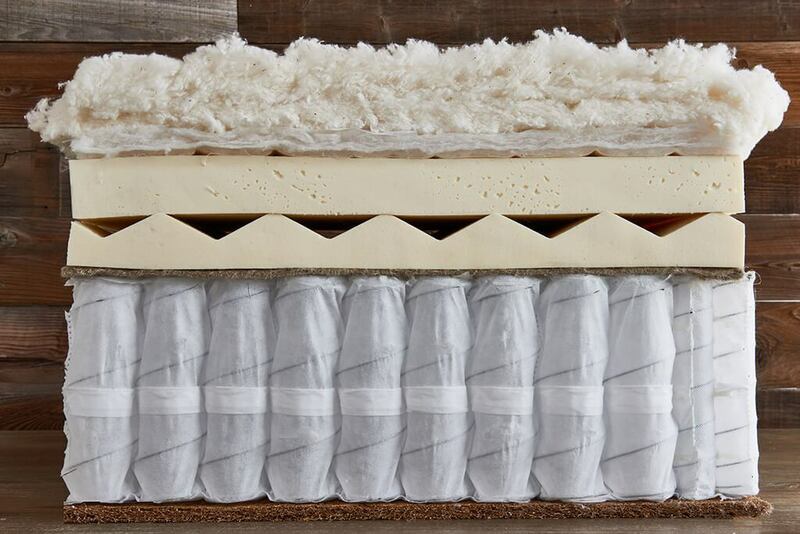 Brentwood Home uses the Dunlop process for their latex layers in the Brentwood Home Cedar Mattress. The latex layer gives the mattress a medium feel for firmness. Under the 2 inch latex layer is another 2 inch layer of latex. This latex layer is computer designed and cut into 3 targeted areas for the exact level of comfort for the lower back, legs, and shoulders. The latex layer is also made using the Dunlop process. Under the 2nd layer of latex is an all-natural flaxseed fiber pad that serves as a layer of support between the latex comfort layers and the coils. 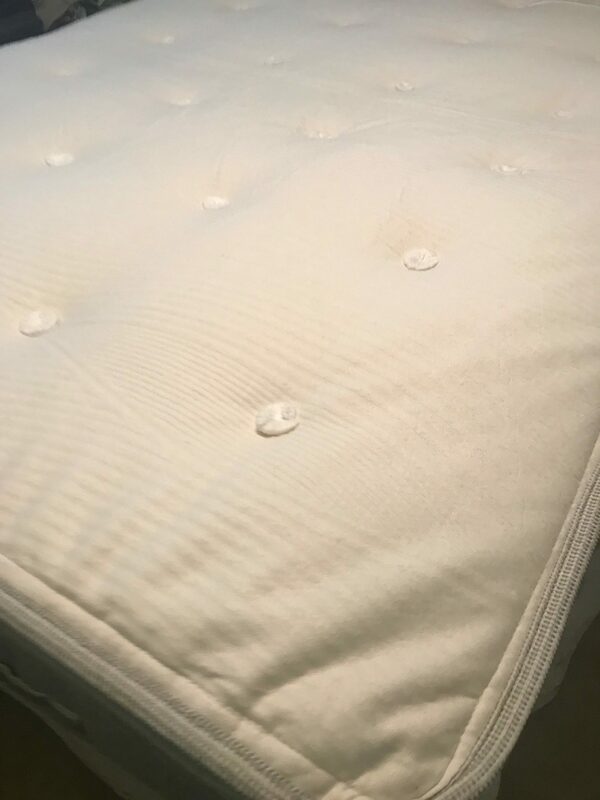 8 inches of individually wrapped coils add body contouring to the Brentwood Home Cedar Mattress and this helps give you excellent pressure relief and support. Individually wrapping the coils serves a purpose in motion transfer if you sleep with a partner. The last layer is 1 inch of coconut husk. Instead of using a foam base like most companies do, Brentwood Home chose an eco-friendly, sustainable layer of organic coconut husk. Coconut husk has antimicrobial properties and aids in body circulation. The Brentwood Home Cedar Mattress is the most natural and eco-friendly of any mattress I have reviewed. What type of sleep style works best for the Brentwood Home Cedar Mattress? Brentwood Home Cedar Mattress comes in medium. Medium works great for many sleep styles but I highly recommend medium for side and back sleepers. 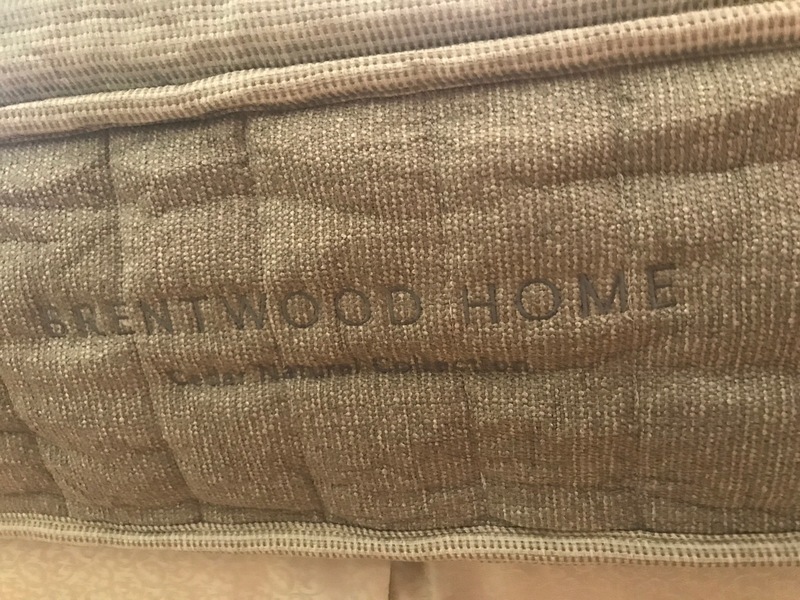 How much does the Brentwood Home Cedar Mattress cost? 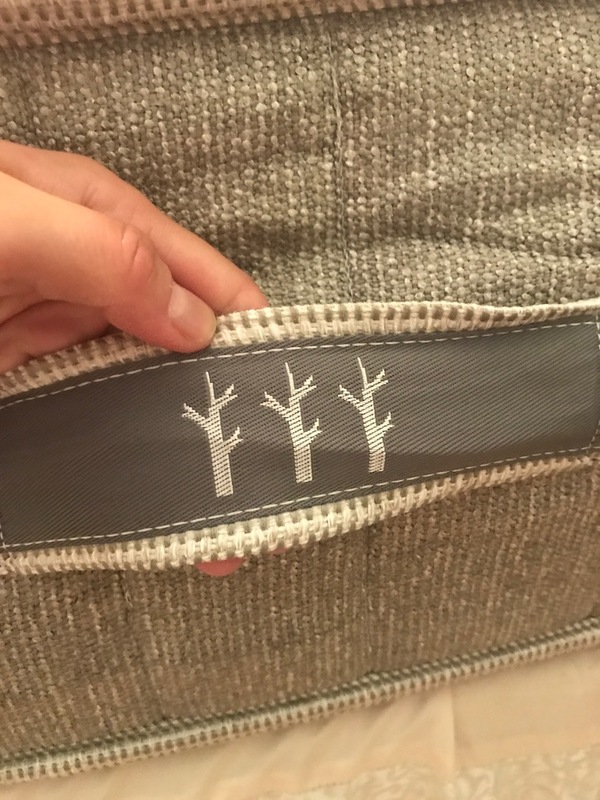 What type of warranty does the Brentwood Home Cedar Mattress have? The Brentwood Home Cedar Mattress comes with a 25 year warranty. Brentwood Home also offers a 120 night sleep trial so you can get a 100% refund if you decided it wasn’t for you. What’s the difference in a hybrid mattress vs. memory foam? Hybrid mattresses combine memory foam and another material to make a better mattress. I like to think of hybrids as the best of all worlds. You get the comfort of memory foam, the cooling of latex, and the bounce of a spring mattress. Hybrids are usually costlier than foam since they are made with more durable materials. 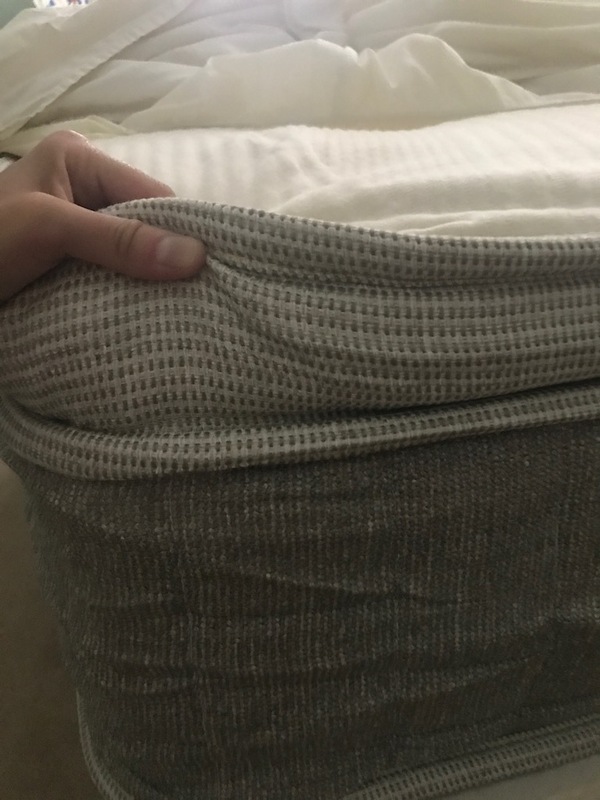 What surface is best for my Brentwood Home Cedar Mattress? The Brentwood Home Cedar Mattress would sleep great on any flat surface like a flat platform, box spring, slated base, or even an adjustable bed. Do we recommend the Brentwood Home Cedar Mattress? The Brentwood Home Cedar Mattress has been well thought out and is more luxurious than the majority of mattresses you would find in a mattress store. 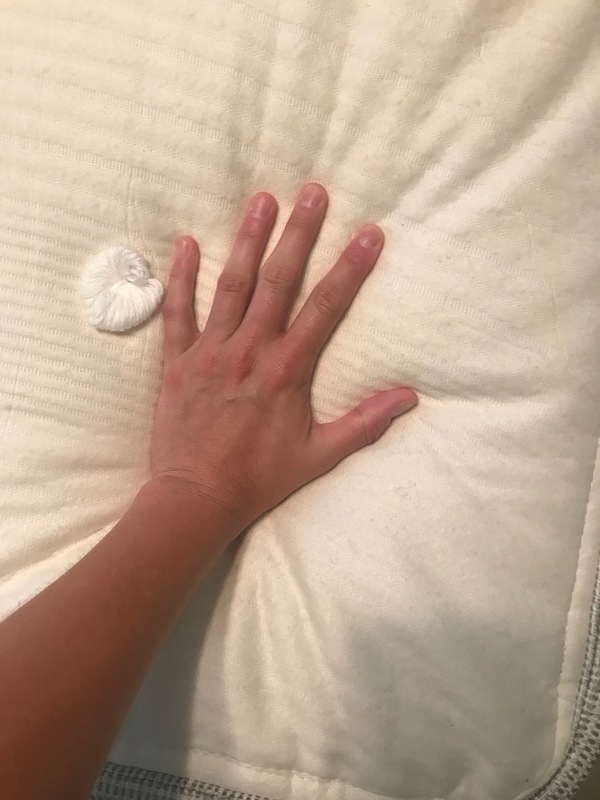 This mattress was the heaviest that I have received so far for review. The materials are high end and top notch. Brentwood Home makes all their own products so they are able to cut out the middle man and sell you an extremely high end product for way less than you would find elsewhere. The mattress even has handles on the side which is something you just don’t find everyday on a ton of mattresses. If you want something all natural and luxurious and don’t want to spend a fortune at the mattress store, you should order the Brentwood Home Cedar Mattress. You won’t be disappointed. Learn More About The Brentwood Home Cedar Mattress Here…..